If you’re new to Wealthy Affiliate or want to find out more, go ahead and check out my full Wealthy Affiliate review here. It should help answer any questions you have or you can always drop me a comment and I’ll do my best to get back to you as quickly as I can. At WealthyAffiliate.com you’ve got two membership options to choose from. I’ve done a full Starter vs. Premium comparison but let’s take a quick look here. First there’s the FREE Starter membership which gives you access to the first Online Cerfitication training course, 2 free websites with the SIte Rubix website builder and 7 days’ access and interaction to the live chat and community discussion areas. As a Starter member it won’t take you long to see just how supportive the community really is and how much we all care about helping you succeed online. Wealthy Affiliate was started in 2005 specifically to help you achieve the kind of life you want through online business. The free Starter membership gives you the opportunity to ‘get your foot in the door’ and see the training and community for yourself. In the free Starter course you’re going to learn how to make money online using affiliate marketing, how websites get ranked in Google and on day 3 you’ll have your first website up and running. 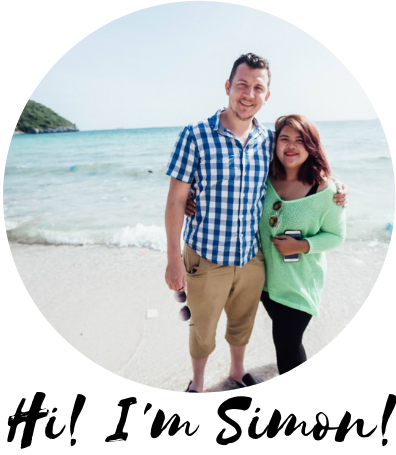 I myself started as a Starter member over 3 years ago and most other people do too, but it didn’t take me long to realise Wealthy Affiliate is the real deal, especially once I started seeing results. If you want to find out more about the free Starter membership you might want read this. While the Starter member is a great first step, the Premium memebrship takes everything up a notch. I can personally attest to the fact that at Wealthy Affiliate you’re only going to learn the strategies and methods of making money online that actually work and gets results. You’ll have instant access to the best affiliate marketing training courses, state of the art website building tools and expert advice and mentoring from the top affiliate marketers in the industry. As you’ll see in the video below, as a Premium member you’ll get the Premium treatment with more training, more suport, more tools which will ultimately lead to more success for you! The most current training out there you’ll learn exactly how to attract tons of visitors to your site. You become a pro at video marketing, email marketing, social media and search engine marketing as well as learning dozens of different ways to monetize your sites and drive up your income. All lessons include a detailed video step-by-step as well as tutorials, specific tasks you can apply to your business and an interaction question and answer areas. Usually an hour to an hour and a half long, every week you can get the most up to date affiliate marketing training covering all aspects of online marketing, increasing conversions and earning money from your websites. There’s well over 200 live replays available that can watch on the go as a Premium member. Perfect for researching and finding out about specific topics related to online entrepreneurship, you get unlimited access to the specific training modules and if you have a question relating to any aspect of building an online business, you can ask them here. The Wealthy Affiliate Bootcamp course has 7 phases (70 lesson in total) of top-notch affiliate marketing training specfically geared towards starting an affiliate website in the affiliate marketing niche. While members can start an affiliate in any niche based on their hobbies and interests, this course is for those who want to promote Wealthy Affiliate and make money online. In my opinion, where Wealthy Affiliate really shines is the help and support they give their members. As a Premium member you’ll quickly realise everyone helps one another and we really do want to see you succeed. Get instant help on the go from your mobile, tablet or laptop is now possible. There’s always conversation and discussions taking place in the live chat area. Need an answer fast? Here’s the quickest and best way to do it. If you’ve got a specific question, want to contact the owners or myself directly, private messaging is the best way to get private mentorship from successful digital marketers and internet millionaires. I’ve touched on this a little but but it’s worth reiterating. Every single lessons has a lively comments area. You’ll also have the ability to ask question and get help form fellow Wealthy Affiliate members. [alert-note]“You can talk with anyone, chat at any time and even ask top ranking members for help. This is a big bonus and worth the money alone because any problem you might be facing, I can guarantee it will be solved. Did you ‘break’ your website or do you have a technical query related to hosting, domains? The technical support team is on hand 24/7 and usually respond within a couple of minutes. Every time I’ve contacted them they’ve been super helpful and quick. For me it’s reassuring to know my websites (which are my main source of income) are in good hands. The easiest, simplest and fastest website builder online. To go through the features of SiteRubix is enough for a post on it’s own. In a nutshell, SiteRubix makes it easy for techiephones liek us to become proud owners of beautiful and professional looking websites. Update: See my recent post What is the SiteRubix website builder? for full details. Whether you’re building a photography site, a cooking website or a blog around your passions and interests, with SiteRubix your website will be online in 30 seconds or less. As a premium member you can host up to 50 websites as part of your Premium membership. Including daily back ups of your site, free SSL, easy domain registration and unlimited business emails. I don’t want to get to techncial here, but the Wealthy Affiliate hosting platform is fast! Which means a better experience for your website visitors and Google will give you more traffic as a result. As you go through the training you’ll learn just how powerful using keywords in your content really is as a way to get unlimited, free and targeted traffic to your site. With the Premium keyword research tool you’ll have unlimited keyword searches and the ability to save and organise your keyword lists. This means you can target the best keywords for your website and never run out of ideas for topics to write about. SiteContent is a powerful content creation software you can use to write blog posts, set daily word targets or use custom templates for your content creation going forward. These are just 12 of the features I can think of off the top of my head, there’s so many more I know I’m missing, but at least you’ve got an diea of just how robust and comprehensive the Wealthy Affiliate Premium member really is! Alongside everything that’s included in the Starter membership, Premium gives you more knowledge, more training, more support, more online earnings and ultimately more success. Wealthy Affiliate is the all in one platform where you can access the best affiliate marketing training, awesome set of online tools and expert community support for building out your online business all in one place. So, if you’re ready to build and scale a growing portfolio of money making websites and you’re ready to take serious action on building your online business and want to dive in at the deep end, click here to find out more about Wealthy Affiliate Premium. Anyone who knows me will tell you upsells annoy the crap out of me. Every guru promising you overnight successes loves upsells – by getting you to buy a low-priced product first and then hitting you with upsell every upsell, they can squeeze more money out of you. This is another reason Wealthy Affiliate is refreshingly difference. WIth the Premium membership you will everything you need with no upsells or need to buy any other programs or training. At Wealthy Affiliate you have all of the training, tools and support you need to build and scale a growing, successful online business. Owners Kyle and Carson are upfront and honest: choose from the free membership which will cost you absolutely nothing, ever. Or if you like what you see, go Premium for $49 a month. No spending hours doing surveys for vouchers, no getting scammed, no more dead ends. Each and every time someone would tell me how easy it was to make money, that if I just pay out for their perfect system, money would start rolling in almost on autopilot. Each and every time their promises turned out to be hollow, I was left high and dry and with less money in my account than when I started. Two weeks after joining Wealthy Affiliate I made my first ever sale commission online, and it was the start of many more to come. Today I earn more than $6,000 a month from my affiliate websites and it’s all because I followed the training and put the time in. It’s not just me getting results either, Wealthy Affiliate helped 217,530 members start their own successful website businesses last year alone. Here are 7 real Wealthy Affiliate success stories (videos). Wealthy Affiliate is about giving you the practical how-to and tools you need to succeed and less about the hype. From how to take care of a pet labrador to finding the best virtual reality headsets, whatever your hobbies and interests are, you’ll learn how to make money by helping people find solutions to problems they’re having or giving them answers they’re looking for. Whether you’re writing a ‘how to’ post, giving baking recipies or doing video reviews – the content you create will go out to a global audience. In fact, in the online world, the more helpful you can be the more successful you can be. 4. Dare I say it, you CAN actually make money in your sleep, IF you put the work in first! Trust me on this: blogging your way to $6,000 takes a lot of work, time and persistence and not everyone has the patience or stubborness to stick it out… BUT if you put the work in initially, your webstes will start to generate a passive income for you. It’s the untold secret successful bloggers and YouTubers don’t tell you – put in the work once to create a blog post or video, publish it online and the time you put in will pay you many times over. Unlike traditional types of businesses, your website is live on the web ‘broadcasting’ 24/7 and accessible to readers and potential customers from around the world. To give you a real life example, I make $300 a month for one single blog post that I wrote 3 years ago and haven’t touched it since. Not bad right? And this is one blog post.. what if a year from now you had a website with 100+ high quality posts on it? As your business continues to grow, there’s no limit on your earning potential. Success always has to be earned and if it was easy, everyone would be doing it but this is where hard work, a driving passion and a determination to succeed put you ahead of the pack. Absolutely yes. This is exactly what I did. I spend time going through the training courses building up my first website every evening and weekend, whaenever I had a spare hour or so. After 12 months I was earning more from my blogs than my job was paying me which is why I ditched the UK office job for a life in tropical Thailand where I’ve been ever since. The point I’m trying to make is that whatever your schedule looks light right now, whether you have children to look after, a job you need to go to to provide for your family, you’ve always got access to everything inside the Premium members area so you can build your business up gradually. Then, when the time is right and you’re starting to reap the rewards for your efforts, you can take it from there. Eventually you’re website business will be earning you enough that you’ll no longer be tied to the monthly pay cheque. This is called financial freedom – when you have built up a secondary cash flow that opens up options for you. So hopefully I’ve shown you how becoming a Premium member at Wealthy Affiliate can help you accomplish your online income goals and guide you in the right direction on your road to earning money from home. Whilst you could jump in and sign up as a Premium member, I would highly recommend you do what I did and sign up as a free Starter member first. That way you get to explore the Wealthy Affiliate community for yourself, start learning through the training course and create your first free website. If you like what you see, then you can upgrade to Premium when it’s right for you. I can’t wait to see you inside the member’s area! I hope you’ve found this useful. If you’ve got any questions feel free to get in touch with me and I’ll be more than happy to help you out.